A highly sophisticated and historic complex comprised of a mosque, madrasas, and mausoleums, the Süleymaniye Complex was constructed by Mimar Sinan over a time period of seven years in the 16th century. Epitomizing simplicity transformed into majestic beauty, Süleymaniye Mosque is undoubtedly one of the most eye-catching landmarks of Istanbul. 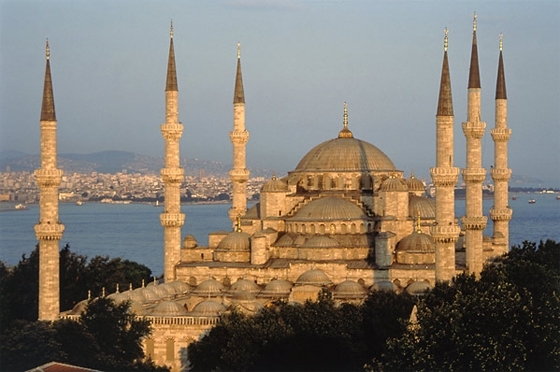 The 128 windows and walls, comprised of stone blocks held together by iron clamps and hardened by melted lead, are among the most outstanding features that make Süleymaniye Mosque almost infallible.